Our primary goal in collecting personal information is to provide you with a smooth, efficient, and customized experience. This allows us to provide services and features that most likely meet your needs, and to customize our service to make your experience easier.Under some circumstances we may require some additional financial information, such as, but not limited to: if you are registering using an email account at a free email service, or registering to sell on our site. We use your financial information, including credit card information to verify your name, address, and other information, as well as to bill you for your use of our services.We automatically track certain information based upon your behavior on our site. We use this information to do internal research on our users’ demographics, interests, and behavior to better understand and serve you and our community. This information may include the URL that you just came from (whether this URL is on our site or not), which URL you next go to (whether this URL is on our site or not), what browser you are using, and your IP address. If you establish a credit account with us to pay the fees we charge, we collect some additional information, including a billing address, a credit card number and a credit card expiration date and tracking information from checks or money orders.If you choose to post messages in our message areas or leave feedback for other users, we will collect that information you provide to us.If you send us personal correspondence, such as emails or letters, or if other users or third parties send us correspondence about your activities or postings on the Site, we may collect such information into a file specific to you.If you register for Import Autopart Inc on another web site or use a web site providing a service for Import Autopart Inc or a web site that helps facilitate your activity on Import Autopart Inc , that web site may provide personal information about you and your transactions back to Import Autopart Inc . Throughout the Site, you are identified by your User ID. If you select your email address as your User ID you will disclose your email address to other users and third parties. As a result, other users and third parties might send you unsolicited email and be able to personally identify all of your public activities on the Site. Although our pages are coded with robot exclusion headers, others may illegally attempt to automatically collect your email address from our site. We describe how to change your User ID below in Section 8. Even if your User ID is not your email address, your User ID can be used to identify you and your activities throughout the Site. Other people can see your bids, items that you have purchased in the past, your feedback rating and associated comments, your postings on the Site, and so on. We also provide a number of ways to allow other users to find out more about you and your site activities, such as our feature that allows users to quickly see all of the items you are offering at the time. If you are involved in a transaction, we have a feature that allows other users to view your email address and obtain your contact information. 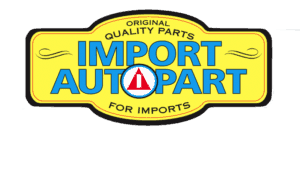 Import Autopart Inc cooperates with law enforcement inquiries, as well as other third parties to enforce laws, such as: intellectual property rights, fraud and other rights. We can (and you authorize us to) disclose any information about you to law enforcement or other government officials as we, in our sole discretion, believe necessary or appropriate, in connection with an investigation of fraud, intellectual property infringements, or other activity that is illegal or may expose us or you to legal liability. Further, we can (and you authorize us to) disclose your User ID, name, street address, city, state, zip code, country, phone number, email, and company name to Import Autopart Inc participants as we in our sole discretion believe necessary or appropriate in connection with an investigation of fraud, intellectual property infringement, piracy, or other unlawful activity.Upon your request, we will deactivate your account, contact information, and financial information from our active databases. To make this request, email alexvl@aol.com. Such information will be deactivated as soon as reasonably possible in accordance with our deactivation policy and applicable law.We will retain in our files information you have requested to remove in some circumstances, such as to resolve disputes, troubleshoot problems and enforce our User Agreement. Further, such prior information is never completely removed from our databases due to technical and legal constraints, including stored “back up” systems. Therefore, you should not expect that all of your personally identifiable information will be completely removed from our databases in response to your requests.